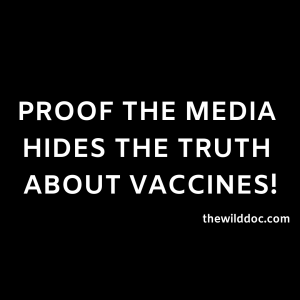 News Channel 5 ignored the fact that Dr. Dale read to them the CDC Whistleblowers statements of how Dr. William Thompson and his coauthors got out a big garbage can and destroyed evidence that connected vaccines to autism. They ignored and cut out the part where Dr. Dale read to them and told them about the study funded by the FDA showing that the Whooping cough vaccine increases the spread of the illness. They ignored the evidence Dr. Dale provided to them that shows the CDC has lied many times to medical physicians and the people here and around the world. They refused to air the part where Dr. Dale told them about the CDC scientist who is now one of America’s most wanted felons because he, Poul Thorsen, committed fraud and money laundering for the research he conducted for the CDC to attempt to say vaccines don’t cause autism. 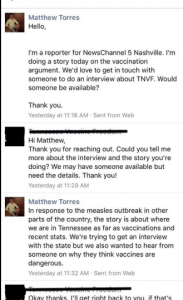 They ignored the fact that Merck, the maker of the MMR vaccine, has 2 of its own scientist confessing to committing fraud and using animal blood to make the mumps portion of the vaccine look effective. This court case has now been going on for roughly a decade! Matthew Torres and News Channel 5 hid all of that and more from people who deserve to know the truth. You will see that Matthew Torres ignored every legal and scientific document that Dale shared with them. They took only the very brief moments of the interview where Dr. Dale shared his opinion while ignoring the facts that the vaccine and pharmaceutical industry, as well as government bodies, like the CDC and the Department of Justice, are lying to the American people about vaccines. Then if you would like to watch the real interview, watch this video in its entirety. 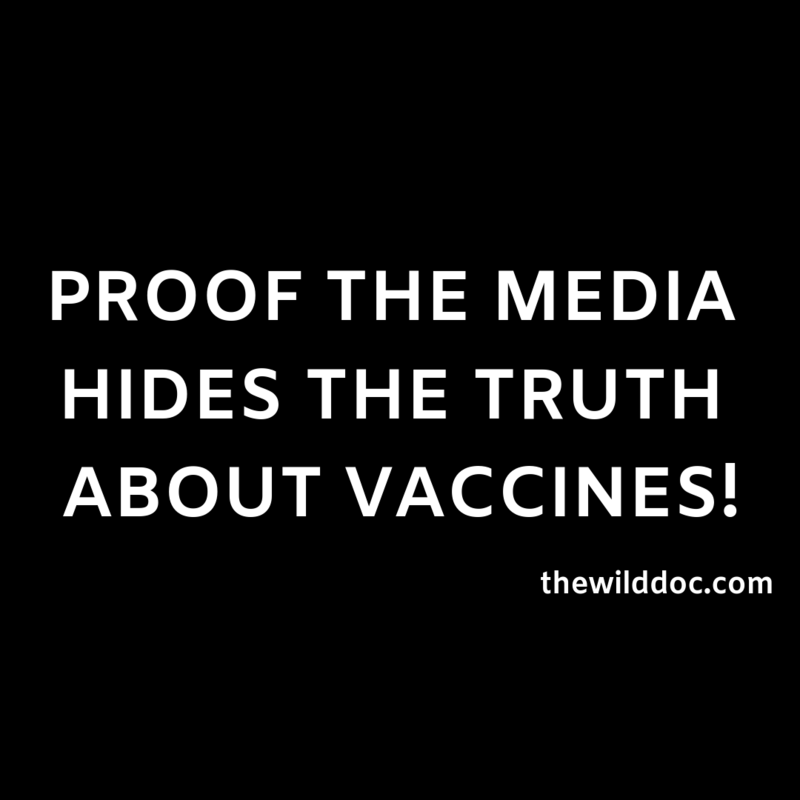 Below is a full list of the research articles or legal documents Dr. Dale shared with Matthew Torres and decide for yourself if you believe that the media is hiding the truth from people about the safety of vaccines and the criminal action by many in the medical industry to conceal the truth! Let us know what you think in the comments and SHARE SHARE SHARE so we can get the REAL and FULL truth out there and our voice will be heard above the lies and deceitfulness of the mainstream media. 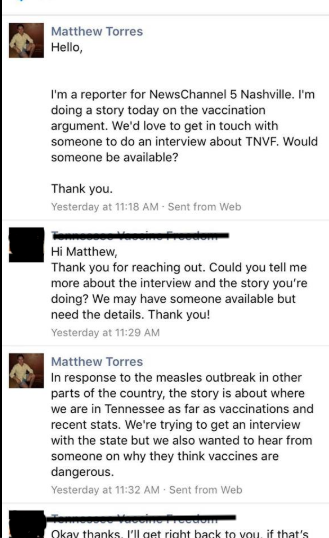 **This screenshot below is a conversation between Matthew Torres showing that he told us he “wanted to hear from someone on why they think vaccines are dangerous.” But as you can see in the aired interview he chose to pick out Dr. Dale’s opinion and didn’t publish why vaccines are dangerous. He totally disregarded ALL the facts and documents that were said and shown in the full interview.